It’s late at night and all the shopping complex are closed, but you have a strong urge to satisfy your shopping needs, or you need to buy some new clothes urgently for tomorrow’s event, or your kids are bawling their heads off for wanting a new pet that just died, fret not. There’s a place exactly for you to feed your needs and desires. In fact, there’s several places you can go to shop at midnite until wee hours in the morning! 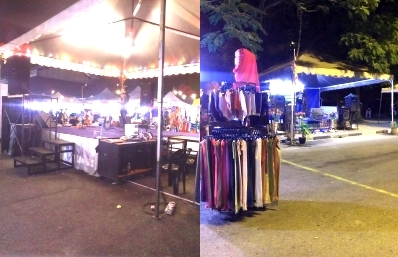 In Selangor, Malaysia, we called these awesome, night markets – Uptown. Open from 8-9pm to 3-4am daily, uptowns in Selangor are located in few strategics locations around major populated areas like in Cheras, Danau Kota, Shah Alam, Kajang and Kota Damansara, and a few other smaller ones. Consist of close to 300 stalls selling various items from dresses, jeans, shoes, cosmetics, women accessories, shirts, sports attires, bags, sunglasses, perfumes to exotic pets, costumes and food stalls, even offering some health services like foot massages, leech treatment, or sinus treatment, they’re truly all-in-one centers for your needs. As the festive season is nearly here (in just 7 days more! 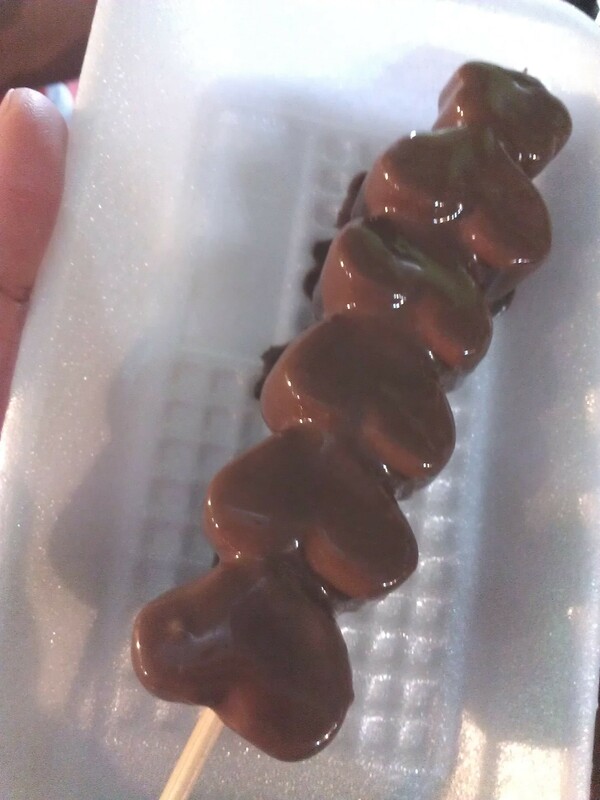 ), I decided to take a look at the nearest uptown to my place – Uptown Kota Damansara. 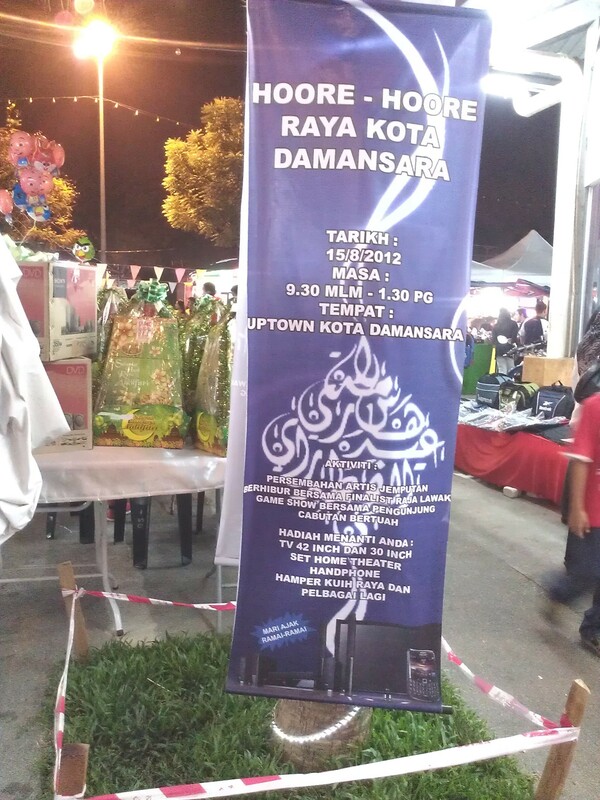 Located at Kompleks Muhibbah, Jalan Teknologi, Section 3, Kota Damansara, it’s also called Uptown D’Kota, Kota Damansara. How to get here? Follow LDP highway going towards One Utama shopping center > pass One Utama-keep left > take left turning going towards IKEA & Ikano > continue and go into the tunnel > go straight all the way > pass Petronas gas station on the left > continue all the way and keep left > look out for some row of colored lights on the left > you will notice there’s a lot of cars parked on the roadside. Some uptowns like Kota Damansara are built under a massive rooftop area so even if it’s raining you’ll still gonna be enjoying your window shopping. The only downside to all the uptowns are the parking lot. Most have none, so you’ll have to park your car by the roadside, and if you are unlucky you’ll have to walk far to the entrance to the main area. Don’t worry about finding one though as there are always some RELA corps (Volunteers of Malaysian People) on duties to guide your car to any spots available, and of course it’s free parking! 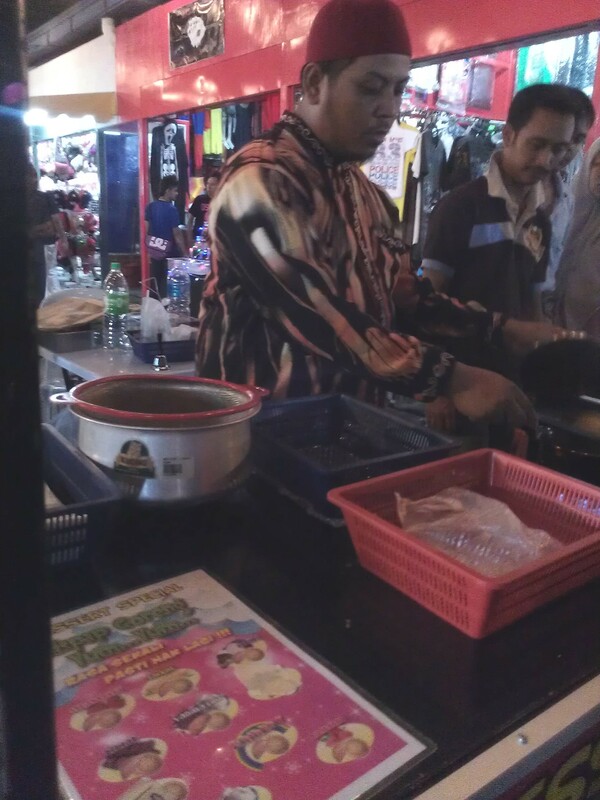 When I got there I was quite surprised to see more stalls there, double lining around the usual rooftop area. It turns out that some of those new stalls were given special license to operate here just for the upcoming festive season for these 2 months (Ramadhan & Syawal). I was pretty excited as now I can shop for my Raya’s attires (traditional festive clothes) here instead of going to more crowded and devoid of parking spots’ shopping complexes. Check out the grand prize! Next to check out are the clothes, the price however are not so cheap, ranging from RM120-200, for a beautiful beaded ‘baju kurung’ (Malay traditional dresses) or a ‘kaftan’. I bought myself a red ‘baju kebaya’, quite pricey at RM170 (after discount) but no sparkling beads though. I know, I know bad choice…but I was pretty excited at that time! (in a very defensive mode). I also noticed they have put up 2 stages for karaoke singers out there, instead of the usual one in front of the food stalls area. This new one is located at the back area. Check out the little rides for the kids there! Look! there’s even a costume shop here! 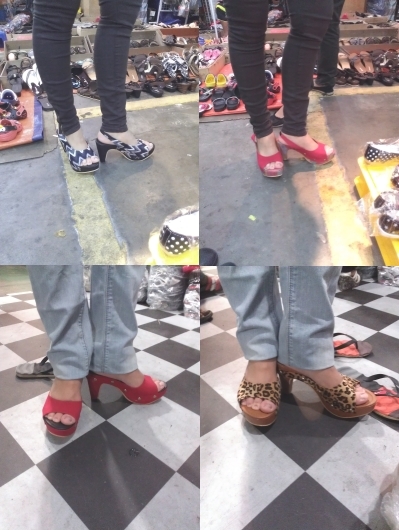 Prices are more cheap than in the shopping complex, with a lady vampire costume at only RM50/set! 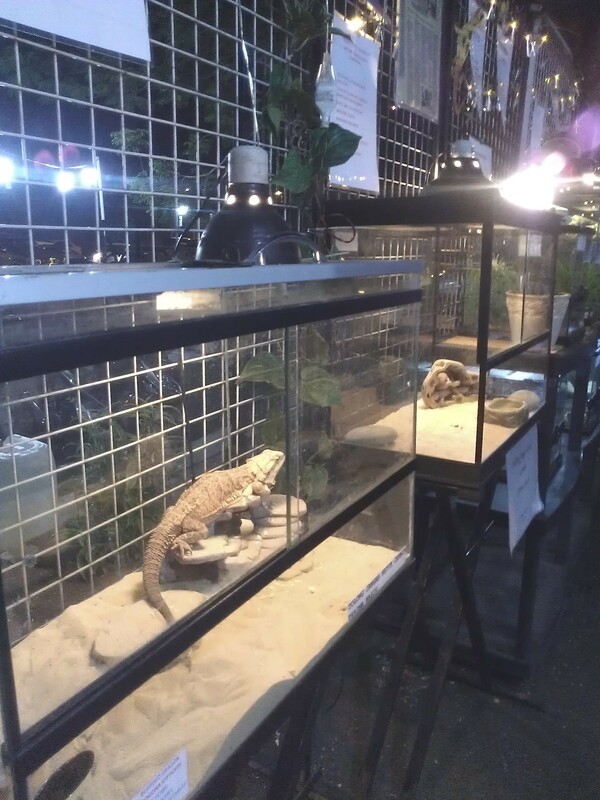 The exotic pet stall, near at the back of the area. 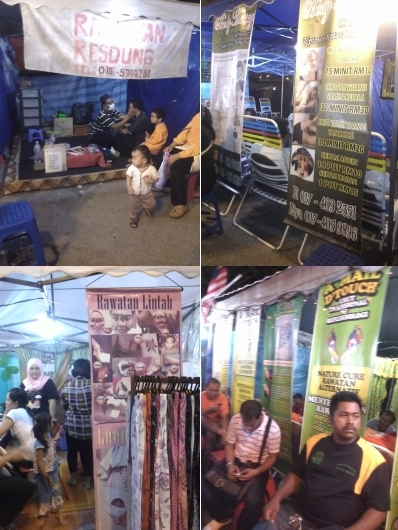 Good stalls to rest your tiring feet, or head – the health treatment stalls! Just RM20 for a 30-minutes head & shoulder massage. Check out all the other stalls here in my gallery. Guess where we went after that to quench our thirst and had our ‘sahur’? 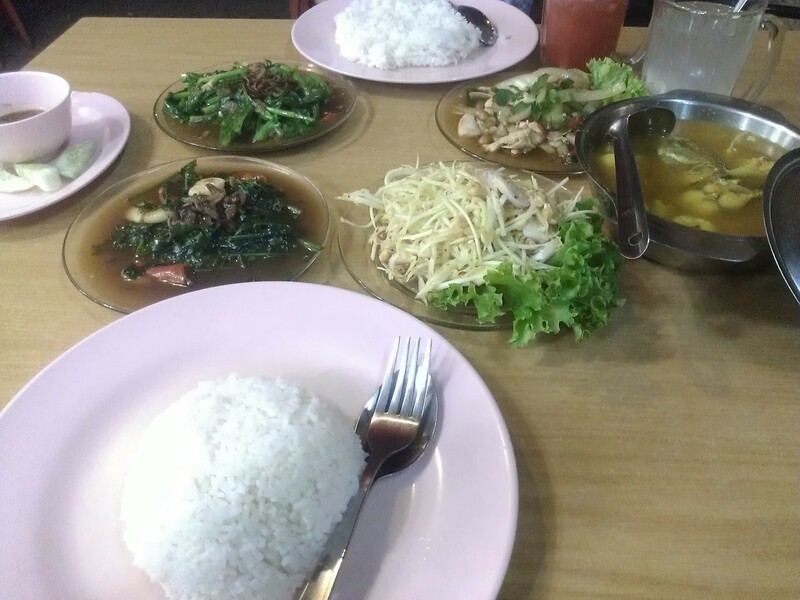 To one of the nearby restaurant that serves yummy Thai foods at a very affordable price – Waneeda Tomyam Restaurant (formerly known as Vicchuda Tomyam Restaurant). It’s our favourite place that we know will still opened long past midnite whenever we went to Kota Damansara. 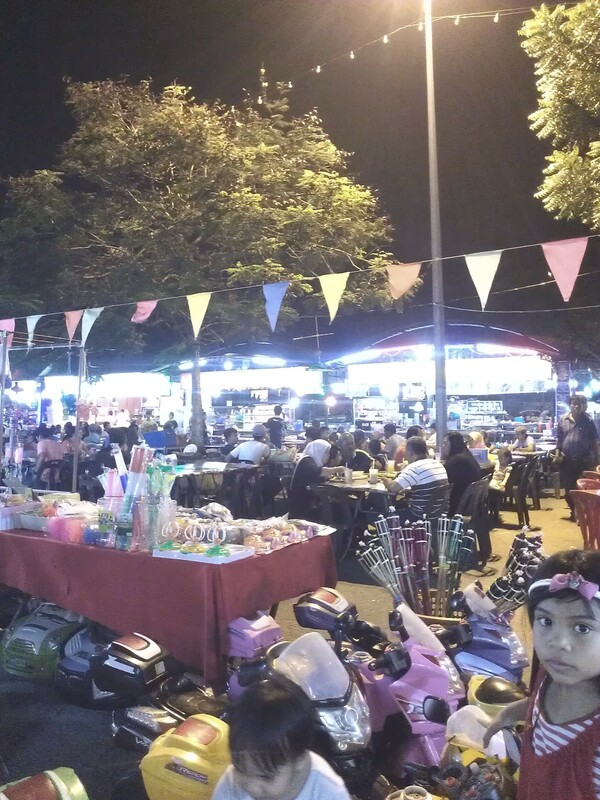 Uptown Danau Kota, Setapak – the always busy place with lots of blouses, jeans & even fish/pet stall. The evening bazaar Ramadhan also located here. A Facebook addicts, reader, gamer, blogger and an adventurer. This entry was posted in Activities, Festival, Reviews/Guides and tagged 1 Utama, Baju kebaya, Baju kurung, Bazaar, Bazaar Ramadhan, Costume shop, Exotic pet shop, Festive season, IKEA, Kota Damansara, Malaysia, Night market, Ramadan, Selangor, shopping, Shopping mall, sinus treatment, Uptown Kota Damansara, Vicchuda Tomyam, Waneeda Tomyam. Bookmark the permalink. Uptown Suxx… Dont go there!!! Smelly… Dirty…. Toilet like Hell.. Everthing Expensive!!! Amazing how so many stalls be selling sinus treatments but is this natural or pharmaceutical treatments for treating sinusitis? I believe it’s the traditional way for treating sinus. Not sure if it’s work as I’ve never tried it before but for some, it does works that’s why they still using this method.